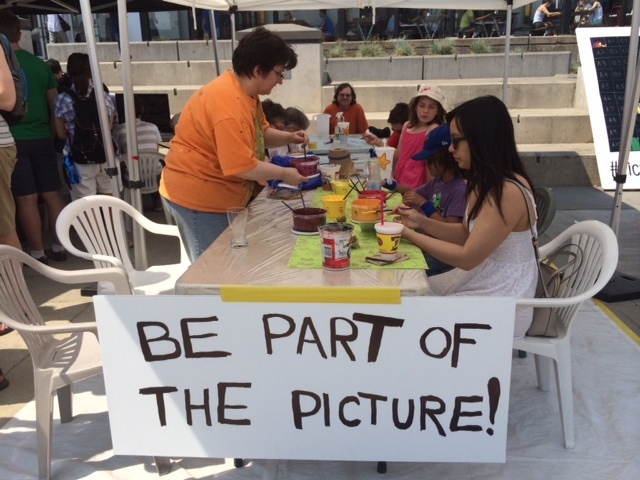 Public Painting Project at the Maker Expo! I’m very happy to announce that I’m doing another public art project! Tomorrow – Saturday the 19th – I will be at Kitchener City Hall from 10am to 6pm presiding over another paint-by-number tiling project. My public art project is brought to you by KWARTZ Lab Maker Space, and is a small part of Waterloo Region’s Maker Expo. It should be a most interesting collection of exhibitors and all kinds of creative goodness! Now, last time I did a paint-by-number tiling project, the piece was based on one of my paintings of tulips. This time, the image is quite different, and is based on….. well…. you’re just going to come out and see for yourself!! 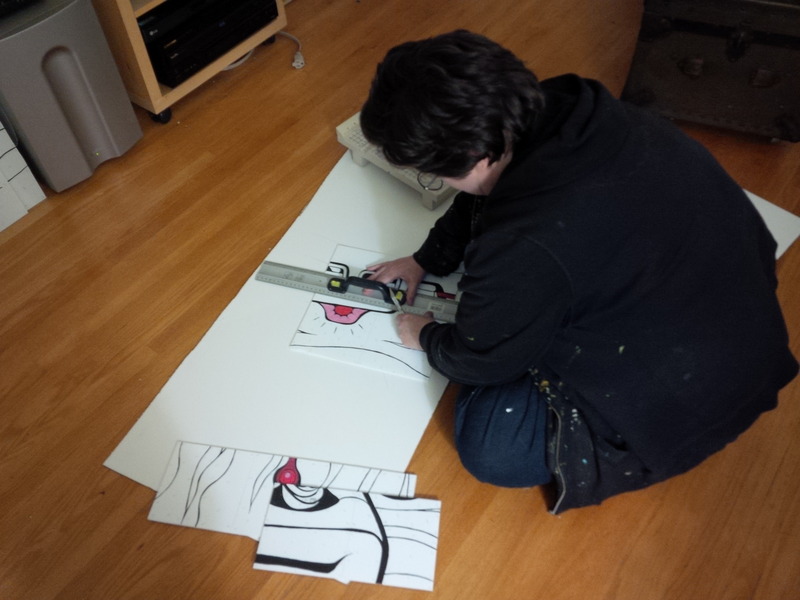 Below is a pic of me working on preparing the tiles… we’re really going to need some public participation to paint all 105 tiles, completing a sizeable 4ft by 8ft painting!